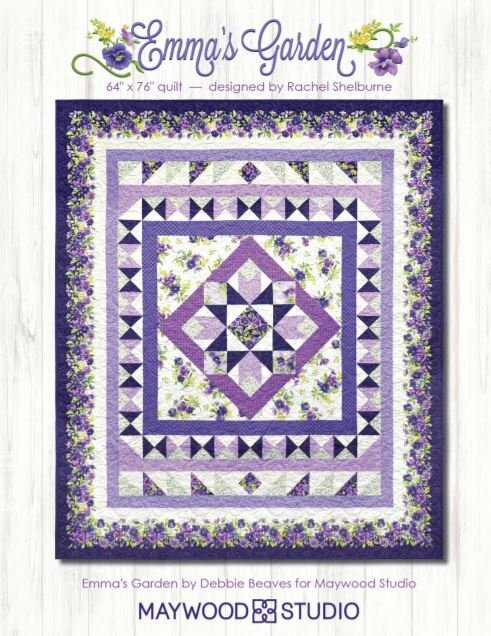 Free pattern for Emma's Garden, designed by Rachel Shelburne. This quilt was created for the Emma's Garden fabric collection designed by Debbie Beaves for Maywood Studio. Finished quilt size: 64" x 76"